PLEASE NOTE : THE USE OF “YOU” OR “YOUR” REFERS TO YOU THE CUSTOMER AND “WE”, “US” OR “OUR” MEANS, AS THE CIRCUMSTANCES REQUIRE, LADY & VAN COURIERS LTD .
Our quotation, unless otherwise stated constitutes the entire agreement between the parties together with these terms and conditions. We may change the price or make additional charges if circumstances are found to apply which have not been taken into account when preparing our quotation, and confirmed by us in writing. The first section of these terms seeks to lay out clearly where additional charges are payable.Please note we will always seek to work efficiently alongside your needs so please communicate at first opportunity if you foresee any issues and we will always endeavour to manage and flex accordingly. We prioritise good communication and as such (where possible) you will be informed at our first attendance on site should there be any disparity between the quote and the situation upon arrival. We will always endeavour to communicate any additional costs with you at the first attendance to site/ engagement with the schedule where possible. You do not accept our quotation in writing within 14 days, or the work is not carried out or completed within three months. Additional drops, timing changes, or changes to access to loading. Parking fees, Congestion charges, Custom duties, Port charges, Taxes, Tolls, Carnets, to carry out services on your behalf – will be payable by you in addition to the quote. Where unsuitable parking is available and a requirement to load is needed, you will be responsible for paying any parking contravention notices issued to the vehicle. Your delivery is time critical. Our costs change because of currency fluctuations or changes in taxation or freight, fuel, ferry or toll charges beyond our control. The work is carried out outside our normal business hours (09.00- 18.00hrs) or Saturday, Sunday or a Public Holiday at your request. Pre-scheduled delivery/pick up is not accessible and a repeat attendance is required. We supply any additional services, including moving or storing extra goods or providing a packing service beyond the original quote. Extra fuel charges and a time allowance for the return trip may apply when travelling outside the M25. There is a minimum charge of £350 (per tonne) for taking goods to a refuse/recycling centre (fees may be substantially higher). In any such circumstances, adjusted charges will apply and become payable. We are required to move goods at your request, above the ground floor. You request collection or access to your goods while in storage. late exchange of keys on a property purchase causes delays to our schedule. Any items transported have any infestations of beetle/bugs/ mites or fleas we will levy an initial charge of £300 and any further treatments required to remove infestations and put vehicles back into service will be payable by you. Please note we may also seek loss of earnings while vehicles are off the road being treated. Multi drop lists need to be submitted 36 hours prior to execution. Any additions or omissions will be chargeable. Disconnect, re-connect, dismantle or re-assemble appliances, fixtures, fittings or equipment. Without prior arrangement. Take up or lay fitted floor coverings. Without prior arrangement and scheduled waste disposal. Move items from a loft, unless properly lit and floored and safe access is provided. This needs prior agreement and images sent when booking. Enter or remove any goods from a third party property where the client is not present and the person thereof refuses entry or removal of goods. Our staff are not authorised or qualified to carry out such work unless it has been agreed in writing with us in advance and we have sent a qualified person. If this is not the case we recommend that a properly qualified person is separately employed by you to carry out these services. We can recommend suitable individuals for a range of roles. Arrange adequate insurance cover for the goods submitted for removal transit and /or storage, against all insurable risks. Our Liability is restricted to a maximum of £40.00 per item as per clause 7. Obtain at your own expense, all documents, permits including parking or visitor permits or vouchers or relevant change for the parking metres, permissions, licences, customs documents and any other documents necessary for the removal to be completed. This includes reserving a suitable parking place/suspension bay within close-proximity of the property for our vehicle/s. This can be arranged by us if agreed in writing at least three weeks prior to your move. Be present or represented during the collection and delivery. We are not responsible for any goods if the location or property is left unattended. Ensure authorised signature on agreed inventories, receipts, waybills, job sheets or other relevant documents by way of confirmation of collection or delivery of goods. Take all reasonable steps to ensure that nothing that should be removed is left behind and nothing is taken away in error, adequate labelling is advised. Prepare adequately and stabilise all appliances or electronic equipment prior to their removal.. Unless previously agreed in writing by a director or other authorised company representative, the following items must not be submitted for removal or storage and may present risks to health and safety and of fire. Prohibited or stolen goods, drugs, damaging or explosive items, flammable liquids, irritants, chemicals. This also including gas bottles, batteries, aerosols, paints, firearms and ammunition. Any animals, birds or fish. Without prior consent. Goods which are hazardous to health. Including asbestos based waste. Inappropriately packaged waste may also be refused. We will not accept liability for loss or damage unless we are negligent or in breach of contract. If you do not collect refused items within a reasonable time we will apply for an appropriate court order to dispose of any such goods found in the consignment without notice. You will furthermore pay to us any charges, expenses, damages, legal costs, interest or penalties incurred by us. You are responsible for obtaining all permits, licences or any other documents required to transport your goods into another jurisdiction than England and Wales. Further, you will indemnify and hold us harmless in respect of any loss, damage or costs caused by your failure to obtain such permissions, including, but not limited to, any fines. You will provide us with a full indemnity and pay us in respect of any claim for damages and/or costs brought against us if the statement in 5 (1) or (2) is not true. By agreeing to undertake the delivery / removal or storage we incur costs in preparing for it and also lose the opportunity to undertake further work that would use the same resources. Because of this, we may suffer loss if you cancel this contract or postpone its performance. The amount we will potentially lose will depend upon when the cancellation and/or postponement occurs. A job is confirmed when an invoice has been issued or you have been notified in writing the job is confirmed and/or in the diary. Monday – Friday 9am-5pm bookings – If you postpone or cancel this agreement, we will charge you according to how much notice is given.“Working days” refer to the normal working week of Monday to Friday and excludes weekends and Public Holidays. Less than 5 days cancellation notice – 50% of the quoted charge. Within 24 hours- 100% of the quoted charge.Evening, Weekend or Bank Holiday bookings. If we cancel your move, you will be refunded in full. Where possible we will collaborate with service providers to complete and ensure the efficient transition of your goods. As we do not know the value of your goods Our liability is limited per item. If you require us to increase our per item limit of liability you agree to pay an additional fee.We will agree to pay you up to £40 per item for each item that is lost or damaged as a direct result of our negligence or our breach of Contract.Where an item is part of a pair or set, our liability to you is assessed as the cost of that item in isolation and not the cost of the item as part of a pair or set.We will always seek to repair an item in the first instance in which case the damage will be limited to the repair costs if lower than the replacement valueWe do not accept liability for loss of or damage to goods confiscated, seized, removed or damaged by Customs Authorities or other Government Agencies unless we have been negligent or in breach of contract.We will only accept liability for loss or damage :Arising from our negligence whilst the goods are in our physical possession, orWhilst the goods are in the possession of others if the loss or damage is established to have been caused by our failure to pack the goods to a reasonable standard where we have, been contracted to pack the goods that are subject to the claimWhere we engage an international transport operator, shipping company or airline to convey your goods, to the place, port or airport of destination, we do so on your behalf and subject to the terms and conditions set out by that carrier;If the carrying vessel should for reasons beyond the carriers control fail to deliver the goods or route them to a place other than the original destination, you may have limited recourse against the carrier depending upon the carriers terms and conditions of carriage.You may be liable for General Average contributions (e.g. the costs incurred to preserve the vessel) and salvage charges or the additional cost of onward transmission to the place, port or airport of destination. These are insurable risks and it is your responsibility to arrange adequate marine/transit cover.We do not accept liability to move any item due to poor communication regarding loading and packaging provison required in advance.An Item is defined as:The entire contents of a wardrobe, drawer, box, parcel, package, carton, or similar container; and any other object or thing that is moved, handled or stored by us. Because third party contractors are frequently present at the time of collection or delivery, our liability for loss or damage is limited as follows:If we cause loss or damage to premises or property other than goods for removal as a result of our negligence or breach of contract, under our standard liability our commitment shall be limited to making good the damaged area.If we cause damage as a result of moving goods under your express instruction, against our advice, and where to move the goods in the manner instructed is likely to cause damage, we shall not be liable.If we are responsible for causing damage to your premises or to property other than goods submitted for removal and/or storage, you must note this on the worksheet or delivery receipt as soon as practically possible or within a reasonable time. This is fundamental to the Agreement. Theft of any goods. No staff member shall be separately liable to you for any loss, damage, mis-delivery, errors or omissions under these terms.Our liability will cease upon handing over goods from our warehouse or upon completion of delivery. Please also note that damage sustained by inadequate access to loading or poor execution due to substandard information in advance ie weight of goods above 50kg not stated. We will not be liable for damage. Damage sustained by inadequate packing materials will also not be liable if the original booking is not informed to provide this. For goods which we deliver, you must notify us in writing of any visible loss, damage or failure to produce any goods at the time of delivery.If you or your agent collects the goods, you must notify us in writing of any loss or damage at the time the goods are handed to you or your agent.Notwithstanding clauses 8, 9 and 10 we will not be liable for any loss of or damage to the goods unless a claim is notified to us, or to our agent or the company carrying out the collection or delivery of the goods on our behalf, in writing with images attached as soon as such loss or damage is discovered (or with reasonable diligence ought to have been discovered) and in any event within seven (7) days of delivery of the goods by us.The time limit for notifying us of your claim may be extended upon receipt of your written and photographic request provided such request is received within seven (7) days of delivery. Consent to such a request will not be unreasonably withheld. Other than by reason of our negligence or breach of contract on our part, we will not be liable for delays in transit. Without prejudice to the generality of the foregoing, we will not be responsible for delays in shipping transit of goods via third party shipping and transport abroad.Job arrival times are estimates only. We do our best to be on time, but circumstances beyond our control may cause delays. No discounts are offered. We will always do our best to communicate and keep you informedIf through no fault of ours we are unable to deliver your goods, we will take them into store. The Agreement will then be fulfilled and any additional service(s) including storage and delivery will be at your expense. If payments are in arrears, after giving you three months notice to pay in full and remove your goods, we have the right to sell or dispose of your goods as we see fit. The cost of the disposal if the goods will be charged to you. If a dispute arises that cannot be resolved, either party can seek mediation. independent arbitration service. Your statutory rights are not affected by this clause or any other clause in this agreement. We reserve the right to subcontract some or all of the work; in particular, but not limited to, the sub-contracting to a third party or parties the shipping of your goods via sea. If we sub-contract, then these conditions will still apply save to the extent that nothing in these terms and conditions shall confer on any other third party any benefit or right to enforce these terms and conditions. We have the discretion to choose the method and route by which to carry out the work. Unless it has been specifically agreed otherwise in writing in our Quotation, other space/volume/capacity on our vehicles and/or the container may be utilized for consignments of other customers.If you stipulate the routes/procedures or facilities to be used and or followed, you will be liable for any loss or damage or other consequences resulting from our compliance or attempts to comply with such stipulations. If you send goods to be stored, you must provide an address for correspondence and notify us if it changes. All correspondence and notices will be considered to have been received by you seven days after sending it to your last address recorded by us. If you do not provide an address or respond to our correspondence or notices, we may publish such notices in a public newspaper in the area to or from which the goods were removed. Such notice will be considered to have been received by you seven days after the publication date of the newspaper. Note: If we are unable to contact you, we will charge you any costs incurred in establishing your whereabouts. We review our charges periodically. You will be given 30 days writing of any increases. If payment of our charges relating to your goods is in arrears, and on giving you three months notice, we are entitled to require you to remove your goods from our custody and pay all money due to us. If you fail to pay all outstanding amounts due to us, we may sell or dispose of some or all of the goods without further notice. The cost of the sale or disposal will be charged to you. The net proceeds will be credited to your account and any eventual surplus will be paid to you without interest. If the full amount due is not received, we may seek to recover the balance from you. If you fail to collect the goods from storage as agreed, we reserve the right to sell the goods. The net proceeds will the credited as above. If payments are up to date, we will not end this contract except by giving you three months notice in writing. If you wish to terminate your storage contract, you must give us at least 10 working days notice. If we can release the goods earlier, we will do so, provided that your account is paid up to date. Charges for storage are payable to the date when the notice should have taken effect. We reserve the right to refuse, cease or to stop the job at any time if our staff are verbally or physically abused. be deemed to be replaced by such provision as is valid and enforceable and which is as close as permissible to the invalid or unenforceable provision. The validity and enforceability of the remainder of these Conditions shall not be affected. Please note that unless agreed in writing we do not undertake unpacking of your effects. An unpacking service can be provided on request. 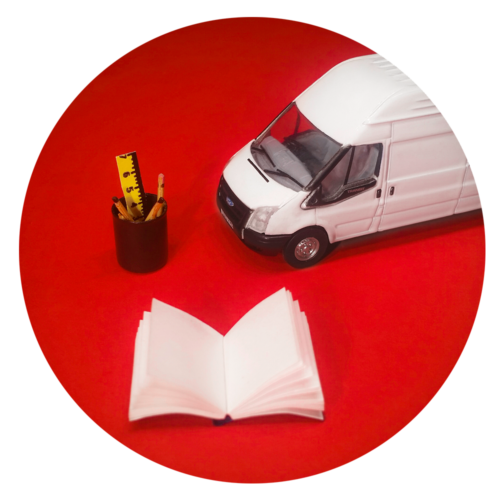 Variations to these Terms and Conditions may only be made in writing by a Director of Lady & Van Couriers and only by express reference to this provision.